Finding these spots requires that you to look towards your inner explorer, take that first step onto the Bruce Trail or wonder whats actually at the top? Enjoy the stunning beauty that the Peninsula has to offer at these top 7 spots, with an extra memory card or two on hand of course! Get your camera ready, because Devil’s Monument will be sure to wow you! Hop in your car and take a drive to Cape Chin, just north of Lion’s Head! Take a 2 km hike down to the water and snap a picture of the 44-foot flowerpot shaped rock formation located inshore. This amazing formation was created by the waves crashing against the rocks. Who knew the water was so powerful! Your trip doesn’t end here; head down to the rocky beach and snap a picture of the sparkling turquoise waters. Throw a few stones in the water, or take a dip yourself! Head to Greigs Caves to get a picture of adventure in-action! Climb in and around 10 natural limestone caves that are millions of years old. Climb in the caves a snap a shot! Along with the caves and peninsula rock, you'll also see ferns, flowers, insects and animals. Pack your running shoes, bug spray, and of course, your camera! This is something you'll want to show you friends! How could you not snap a few pictures with this 365-degree view! Head to the Bruce Peninsula National Park Visitor Centre and prepare yourself for 122 stairs to the top of the tower! Look through the peepholes and take pictures at every angle! Tobermory, Lake Huron, and The Bruce Peninsula- you can see it all! While you’re there, take a 10 minute walk down the trail to lookout point at Dyers Bay, another perfect location to take that perfect picture! Don’t forget to take a tour of the Visitor Centre while you’re there! Located in Tobermory, the Little Tub Harbour is a beautiful destination to snap a few shots. Walk down the boardwalk and take a picture of the beautiful sailboats sitting in the harbour. At the end of the harbour, be sure to take a picture of the Chi-Cheemaun, waiting to take people back and forth to Manitoulin Island. While you’re there, visit all of the unique stores and restaurants that wrap themselves around the harbour. Try an ice cream cone from The Sweet Shop, sip back a cold one at the Tobermory Brewing Company, and find all sorts of knick-knacks at the Marco Polo Trading Company. Why stay on the shore when you can take beautiful pictures out on the water? Hop on board a Blue Heron Boat Cruise or a Bruce Anchor Cruise in Tobermory to experience the beauty of the Bruce Peninsula off of the shore. Take pictures of the incredible shipwrecks that can be seen metres away from the boat under the clear water. Continue your trip out to Flowerpot Island to take a few snapshots of the rock formations standing tall on the island. Don’t forget to enjoy the beautiful view of Lake Huron while you’re out there! Are you daring enough to take a picture while dangling in the air? Little Cove Adventures allows you to experience climbing in a completely new way! Twist your way through swings, tires, and rope walls while hanging above the ground! Looking to take a one-of-a-kind selfie? Here is the place to do it! While you’re in the air, be sure to enjoy the view of the Bruce Peninsula and its vast forests. Can you snap a shot of the lion’s head at the Lion’s Head Marina? Walk around the harbour and take a picture of the boats sitting in the water just off of the shore. Next, find the #findthelionshead picture frame and take a picture with the beautiful view of the bay. Continue down onto the white rocky beach and take in the scenery! Have you spotted the lighthouse yet? Follow the Bruce Trail to the Lion's Head Lookout for quite possibly the best view of the Bruce Trail. Walk to the end of the marina to take a snapshot of the Lion’s Head Lighthouse - click! Think we missed one? 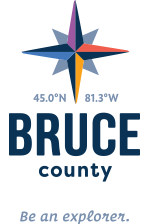 Post your photo to ExploretheBruce with #explorethebruce and tell us why this is your favourite photo spot on the Peninsula!